If you always look forward to getting into the holiday spirit and are interested in crafting your own DIY Christmas earings it’s well continuing reading to discover how to create your very first pair of DIY Christmas earrings. To create your own DIY earings you’ll need to get your hands on a few pairs of earring hooks or plain clip-on earings both of which you’ll be able to pick up at your local craft store. Better yet, you should be able to pick up a few pairs of hooks or plain clip-on earings for a couple of dollars. Which makes handcrafting your own Christmas themed earrings a cost-effective option. 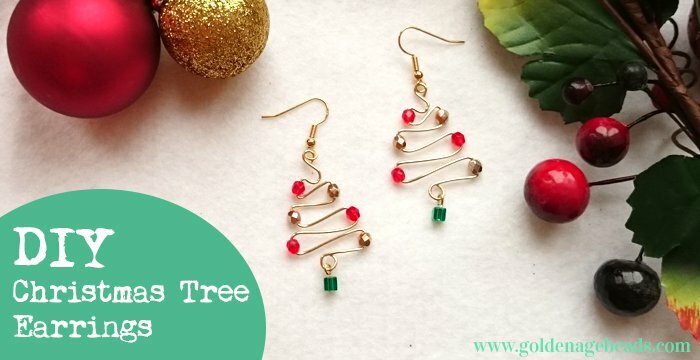 One way to ensure that your DIY earings scream Christmas time is to purchase an assortment of red, gold and green colored beads which you’ll be able to use to create eye-catching drop style earrings. If you’re particularly lucky you may also be able to acquire little beads which are shaped like gold Christmas bells, which will instantly make you think of Christmas. Chances are high that your nearest craft store will also offer Christmas themed beads, such as miniature Santa Claus beads or snowflake shaped beads, which you’ll be able to use to create stunning Christmas themed earings. 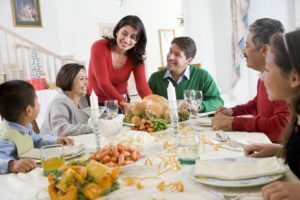 Imagine the compliments you’d get if you turned up to a Christmas party wearing Christmas earings which are shaped like Santa Claus, Rudolph the Red-Nosed Reindeer or Frosty the Snowman! In order to create cute little characters to hang from your DIY earings simply visit your local craft store or art supplies store, in order to purchase clay or plasticine to bake your very own one of a kind Christmas characters. Which you’ll then be able to use in order to adorn your plain earings. Other examples of characters which you may want to create include angels, gingerbread men, and elves. If you want your DIY Christmas earings to look classy and sophisticated you may prefer using silver charms to create gorgeous, Christmas earrings which are sure to turn heads when you walk into your upcoming Christmas parties. As an example, if you like the idea of creating classic understated Christmas earings you may be more interested in crafting silver angel themed Christmas earings rather than bold red, green and gold Christmas earings. Alternatively, you may want to consider using wire from an old coat hanger to create fun, festive Christmas tree shaped Christmas earings! Better yet, why not place a gold star at the top of each earring, to act as your Christmas trees’ stars. So if you’re keen to spread a bit of Christmas cheer this holiday season, you can’t go wrong DIY crafting your first pair of DIY Christmas earings.